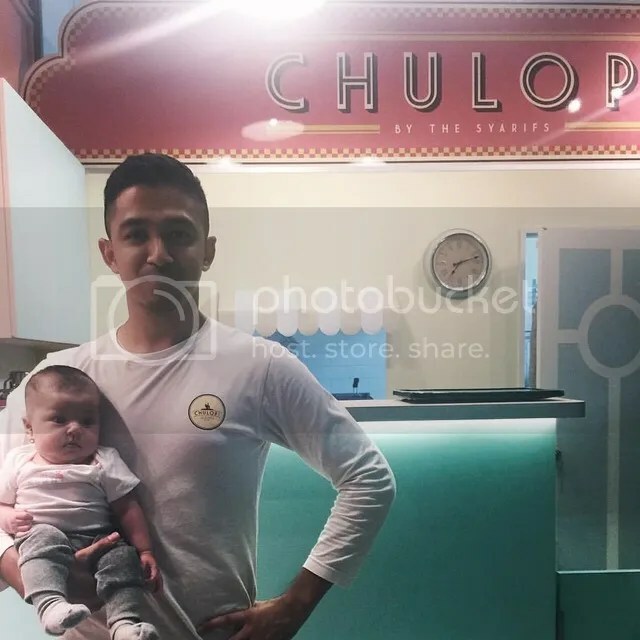 This year will be the first year Ahmad Syarifullah or better known as Syarif or Syarif Sleeq celebrating Father’s Day. The couple welcomed their daughter in December 2015. 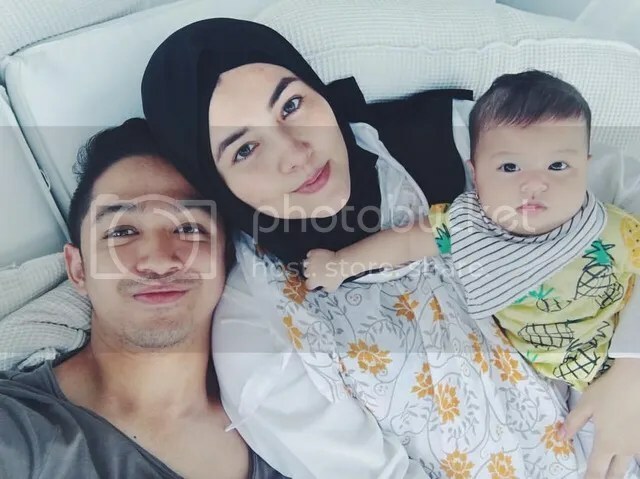 Selma Malika has been gracing both the couple’s Instagram page ever since. Syarif wants to document as much as possible because he believes every second is special and unforgettable. Syarif has been in the entertainment industry since 2005. He is known to be part of a now defunct, local duo group, Sleeq, and has been based in Singapore and Malaysia. Malaque Mahdaly on the other hand is an alumni of MediaCorp Channel 5, Singapore Idol 3. Both of them got married in 2014. 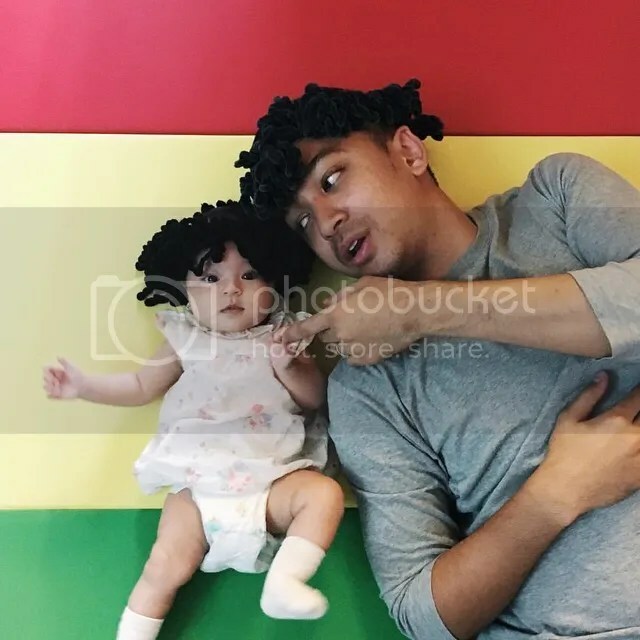 It seems like they have now added another celebrity in their family, Selma Malika who has been getting a lot of attention and likes on Instagram. To Syarif, fatherhood has been amazing and magical. He jokingly said that now, it feels like having a purpose in life. Having a daughter drives him to work even harder so that he can give his daughter a better future. So what kind of father is Syarif? A fun father I believe since he shared that he loves to tease and joke. Have you seen the Instagram video of Syarif asking Selma which outfit she wants to wear? I replayed it a few times and laughed to myself looking at both of them. However, Syarif is grooming himself to be a stern yet reasonable father. As a singer himself, it is no wonder that Selma is always being entertained by Syarif’s voice. “There has never a time where I do not have a song for her. Everytime when I carry her, I will definitely create a soothing lullaby,” explained Syarif. Speaking of singing, what is next for Syarif in the entertainment industry? As of now, Syarif is making his business his priority. He has a shop, Chulop, at East Village selling churros. I have been hearing good comments from others about their churros and it is said to be one of the best Churros in Singapore. Even though business is his priority, his passion for singing and acting still stays strong. He is now in the midst of compiling materials and working with a couple of producers for his solo album. As for acting, Syarif shared that he has received offers from across the country but he is not ready yet to leave little Selma for work. If you miss seeing him act, get ready to be in front of the television on Wednesdays at 9.30pm for the drama, Kemelut. The Fifth Parlour would like to thank Syarif as well as wishing all the fathers all over the world, a very Happy Father’s Day! The Fifth Parlour would like to thank Syarif for the interview despite his busy schedule.